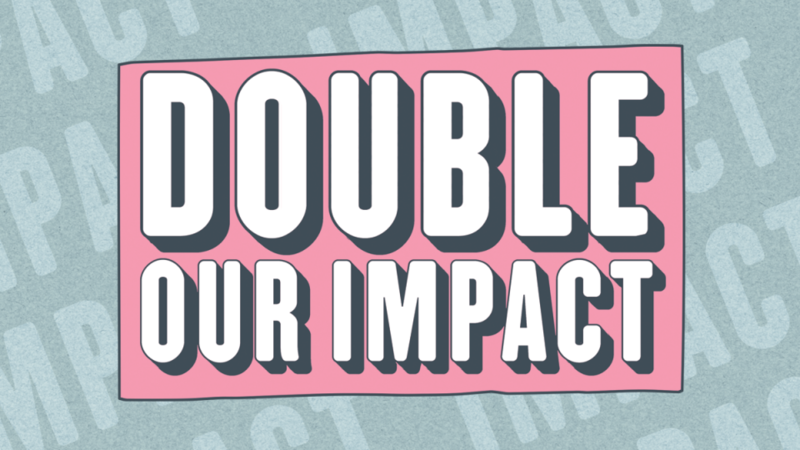 Double Our Impact is here again! We are always excited to share the annual Matching Funds campaign that funds our ministries for coming year, but this year we are particularly grateful to be passing along a number we believe illustrates what God continues to do through Impact – 94%. A recent audit showed that Impact spends 94% of the money it receives in providing direct services to people in need (and only 6% on overhead). This is compared to 65%, the percentage a charitable organization must have to be accredited by the Better Business Bureau. The fact that 94% of every dollar you donate goes directly to helping people in need is made even more powerful by the fact that from now until the end of the year every dollar you give is DOUBLED! All year-end gifts AND monthly pledges for 2019 are eligible. To participate send a check with ‘Matching Funds’ in the memo line, call the Impact office, or go to impacthouston.org. Double Our Impact is an incredible opportunity to help the hurting in Houston – and we couldn’t do it without you!